Our last evening in Storybrooke was an emotional roller coaster of betrayal, conspiracy, and heartbreak. Regina had an ominous dream that motivated her to get in contact with Robin Hood and make sure his family is safe. However, that operation is now on hold, because Rumpelstiltskin finally uncovered Regina’s agenda as a double-agent, and she’s been taken captive (so far without the knowledge of her allies)! The Dark One also had a little monologue with a sleeping Belle about how the world is changing. Or… something. He was vaguer than a vague thing that’s vague. We found out that Mickey(/Yensid) helped the Charmings banish all of Emma’s potential for evil into the infant child of Maleficent, then exile the baby out of the Enchanted Forest with a magic portal. Emma found out, too — and her faith in her parents was very soundly shattered… though she tried to keep composed for the most part. This week’s adventure begins with the Heroes chasing down the Author. Despite their common goal, there’s still a family argument going on; the Charmings are trying to convince Emma that Walt manipulated them into stealing Maleficent’s egg, but Emma will have none of it; they still lied, and the only reason why she has become the savior is because they altered her fate at the expense of another human soul! Up ahead, Walt breaks a stick off a tree and tries to sharpen it into some sort of pen — but then he finds himself face to face with the Dark One, who warns him that an Author’s magic quills can only be made from the wood of enchanted trees, and there are none in Storybrooke, Maine. Gold produces a quill and strikes a bargain: he will rescue Walt from the Heroes, but in exchange, Walt must write him a whole bunch of new happy endings. The two agree and disappear just before the Charmings arrive. Now with the Author under his belt, Gold visits Regina just as she awakens in captivity; he tells her of his latest recruit, and admits that he did want her to be happy — just not at his expense. When she was unconscious, he found her copy of Robin’s phone number, and she should be worried. Why? Well, perhaps she should make the call. He lost everything once, and if she’s not careful then she will, too. Nine weeks previous, when Robin and his family left Storybrooke, Regina gave them the address to Neil’s apartment. The family arrived in New York with very little preparation, and not long after wandering around with a paper map (which in New York translates to a sign that says, “Rob me,”) a hoodlum snatches Marian’s purse and races away on a stolen bike. Not to be out-thieved, Robin grabs a horse off a carriage and rides through traffic to catch him, in a sequence so epic that the rest of the episode could be about Jiminy Cricket for all I care! We then take a journey back into the Enchanted Forest, when Robin was a… bartender. Apparently he has left his merry men for the straight and narrow, with Marian serving drinks by his side. However, this gives the evil sheriff of Nottingham the perfect opportunity to show up, make fun of his apron, and threaten foreclosure since Robin’s taxes are long overdue. Robin only has two days to come up with the money, and then he’ll be thrown into prison and the sheriff will be free to seduce Marian (despite how solidly she turns him down). Back in the present, just as Robin’s family is trying to settle into their strange new home, their front door opens. In limps Mr. Gold, shocked that they’re trespassing on his son’s property. He tries to order them out, but Robin refuses… and Gold collapses in what is almost certainly a fake heart attack (but then again, his body isn’t exactly in great shape without magic to begin with). In a flashback to Robin’s bar, we see Rumpelstiltskin swagger in to make a deal with the best thief in the land. Robin is hesitant to return to his old ways, but if he doesn’t then he’ll lose his business. Rumple needs him to travel to Oz and steal “The Elixir of the Wounded Heart.” Which… heals physically or emotionally wounded hearts. Good gravy, it’s like the writers aren’t even trying anymore. Even though Gold can’t create magic outside of Storybrooke, he can use magical items transported from other realms… and he knows where Robin can find some of the elixir in New York. Why would Robin help him? For the same reason he left Regina: his honor. Back in his past, we see Robin transported through a door into Oz. As it turns out, he landed on a guard that had just captured Will Scarlet… who is suddenly witty and charming beyond all reason. The two men meet for the first time: Will admits to being a thief, but only because he was starving and needed food. Robin tells of his own journey, and his goal to steal from the witch. Will warns him that the witch is deadly, but for an extra dose of the potion he’ll help Robin as much as possible. Meanwhile in the present, Robin finds the not-so-subtle “Wizard of Oak” shop, which housed one of Zelena’s goons who was keeping an eye on Emma during her year in New York. Robin sneaks in and sets the alarm off, so he must rush through the dusty business in the hopes of finding the potion before the cops arrive. After a few moments of fruitless rummaging, he happens upon a fancy emerald drawer. Without any lock or measly protection spell. At all. He yanks out a sparkly heart-shaped bottle that not even Maybelline would condone and then hurtles through a back window before the police can catch him! Marian is understandably upset at his risk-taking when she finds out, but Robin insists that he can’t just walk away from Gold. Marian, strangely out of character, wonders why they don’t just let Gold die. After all, her world is changing and hardening: she’s trying to harden with it. Back in Oz, Robin sneaks into the Emerald City (historically not where the Wicked Witch lives, I might add) as a perfectly ridiculous-looking guard in a hat that could fit a moose. I will only grant him amnesty this once, as he is trying to sneak into the Emerald City, which has a rather rich history of outrageous… everything. He slips into the wizard’s possessions (strange that the wizard is absent and the witch is in residence) and hunts about. First he finds a strange six-pronged golden locket, which isn’t the potion but will obviously be important later. Then he finds the potion and manages to tap a bottle’s worth. As he’s going for the second bottle, Zelena appears behind him: it doesn’t take her but a moment to figure out that Rumpelstiltskin sent him. Robin snatches up a bow and shoots a gas pipe to distract her, escaping while the room is filled with steam. He then returns to the outskirts of the city, only to admit to Will that he didn’t manage to steal a drop of potion — and he’s a fine liar, too. Back in the present, Robin brings the potion to Gold and strikes a deal: the potion for the apartment. Gold agrees, and Robin leaves with a well-deserved, “good riddance.” But when Gold drinks the potion… it’s not working! Suddenly Marian appears before him, with the real vial. How did she get an extra bottle? Why is she suddenly so evil? Because it’s not Marian — it’s Zelena in disguise! Apparently when Gold tried to avenge his son and kill her back in Storybrooke, her life force fled her body before it shattered. She opened the portal and sucked Emma back in time, then followed her until she realized that Emma planned to bring Marian back to Storybrooke. When no one was looking, Zelena used the magic golden locket from Oz and killed the real Marian and took her form! She had considered returning to her old self once she returned to Storybrooke, but as Marian she enjoyed ruining Regina’s happiness. That’s right, folks: Regina could have had (and more importantly, can now have) a happy ending all this time! Zelena gloats over Gold until his heart stops. The paramedics rush in and revive him, then unknowingly leave him with her (to pick up where she left off as soon as he awakens). She explains that she had planned to romance Robin, but he’s not taking the bait like she hoped. So she’ll make a deal with Gold: she needs the Author to force her happy ending, and who better to control the Author than the Dark One? In exchange for his life, he must stop trying to kill her, and order the Author to write her into a happy ending. In return, she will give Gold the potion for his heart… and all he has to do to agree is blink. It may be the saddest and most helpless state we’ve ever seen Gold come to! Back in Oz, Will and a very guilty Robin shake hands. Will admits that he only wanted the potion to heal his heart after losing his beloved sister to an icy lake. They hug briefly — I suspect Will may be picking Robin’s pocket —and part ways. Sure enough, down the road Will finds the potion in his jacket… but he wasn’t the one who put it there: Robin slipped it into his coat! Back in the Enchanted Forest, the sheriff comes to collect Robin’s taxes. Robin has no money, but he does have a band of merry men ready for a fight! As he learned in Oz, stealing for the sake of someone else was still a noble calling (somehow), so from now on he shall steal from the rich and give to the poor! Out in the woods, the “hoodlum” Robin of Loxley decides to take the name “Robin Hood.” He’ll have to avoid Rumpelstiltskin for the rest of his days, but he can do that thanks to the six-leafed-clover-locket of Oz that he stole: it can transform its wearer into anyone as a disguise! His relationship with Marian may not be easy thanks to his new infamy, but she’s willing to work at it if he is. Meanwhile in the present, that relationship is under a new strain; “Marian” found Regina’s number on Robin’s phone. She guilts him about what that feels like, and tells him to make a choice between her and Regina once and for all so that she can have some certainty in her new life. Robin swears to be with her because she once gave up everything to be with him. He reminds her that she said something powerful once… but she ropes him into saying it. Robin deletes Regina’s phone number and kisses his wife… but in a nearby mirror we can see that it if course isn’t his wife at all! Sorry, but this can’t wait until the “questions” section: 1. Can other people see that reflection in the mirror, or was it a stunt for the audience? Because otherwise Zelena would have to make sure to avoid mirrors… a lot. 2. Has Robin not noticed the six-leafed-clover-locket around Marian’s neck during this whole, I don’t know, month that she’s returned “from the dead”? He stole it and knew what it does, after all! Imprisoned in her vault, Regina calls Robin’s phone… but finds it answered by Zelena. She learns that her sister has been masquerading as Marian, and Gold warns her that one phone call from him will mean Robin’s death. However, if she cooperates, she will be vital to his scheme to corrupt Emma. Regina refuses… but Gold prepares to call Zelena back, leaving Regina with the terrible choice between the fate of the savior and the fate of her true love. Tune in next week for Cruella’s backstory and attempt at revenge! She apparently needs the Author to keep one of her secrets, and she’ll even go so far as kidnapping Henry and holding him at gunpoint to do it! Also, we get to see Maleficent take claymation-dragon form again. 1. Can other people see Zelena's true reflection in mirrors? Because those would be notoriously difficult to avoid. 2. Has Robin not noticed the six-leafed-clover-locket around "Marian’s" neck during this whole, I don’t know, month that she’s returned “from the dead”? He stole it and knew what it does, after all! 3. Does this mean that Zelena allowed herself to be cursed and frozen over twice by Ingrid’s ice-spell, and didn’t try to heal herself? I mean, it got to the point where she was comatose and encased in ice! Regina held her heart in her hand! A. And why wasn’t that heart blackened? We saw thanks to Regina exposing Snow White’s heart that evil can visibly taint hearts… at least hearts that get magically ripped out of a person’s chest. 4. What long-term purpose would Zelena have in crossing the town line with Robin and Roland? 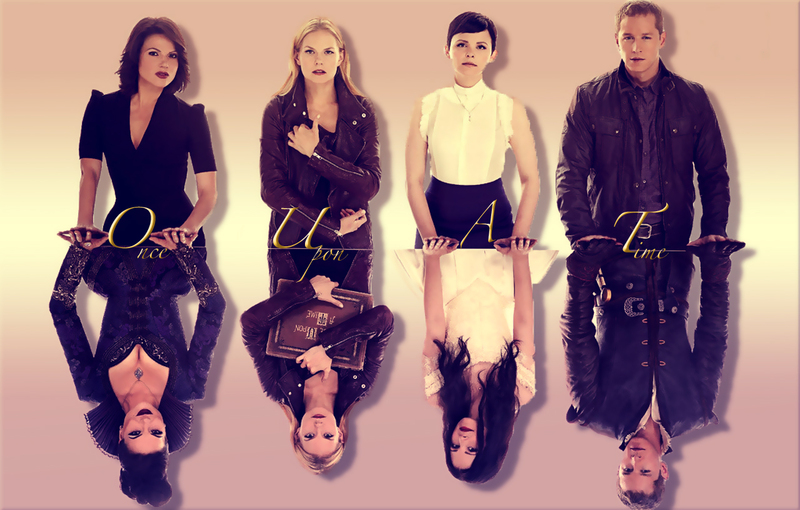 She’d lose her magic, and she’d have no reason to expect anybody (especially Gold) to leave Storybrooke anytime soon! A. Perhaps Zelena faked the return of the ice-spell in order to draw Robin out of town and away from Regina! Though that still begs the question, what long-term purpose would there be in leaving (other than destroying Regina’s happiness)?